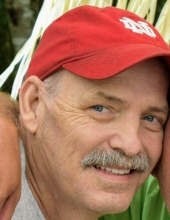 Mr. Curtis Ern Jones, age 60, of Richlands, VA departed this life Friday September 28, 2018 in a Kingsport, TN hospital following a brief illness. Born in Richlands, VA he was the son of the late George Perry Jones and Mary Kate Boothe Jones. He was a U.S. Army Veteran. In addition to his parents, Curtis was preceded in death by three brothers, William Douglas Gray, Blaine Emory Jones and Perry Michael Jones; two sisters Patricia Harkey and Crystal Lee Ball; sister in law Juanita Sue Gray and Brother in Law Cecil Evans. Curtis is survived by his partner of 35 years Thomas Delahanty; two brothers Marvin Boothe & wife Rose and Dwight Jones & wife Maudie; two sisters Barbara Evans & boyfriend Les West and Edna Honeycutt & husband Joey; several nieces & nephews; special friends Rocky Hale, Danny Scarberry, John Meadows and many other life-long friends; fur baby’s Gracie & Gabby also survive. Special thanks to the employees of the V.A. Center in Salem, VA, the Infusion Dept. at Clinch Valley Medical Center and Helping Hands Home Health. In lieu of flowers donations can be made in Curtis's memory to the American Diabetes Association: 2451 Crystal Dr. Suite 900, Arlington, VA 22202. Singleton Funeral Service in Cedar Bluff, VA is serving the Jones family. To send flowers or a remembrance gift to the family of Curtis Ern Jones, please visit our Tribute Store. "Email Address" would like to share the life celebration of Curtis Ern Jones. Click on the "link" to go to share a favorite memory or leave a condolence message for the family.